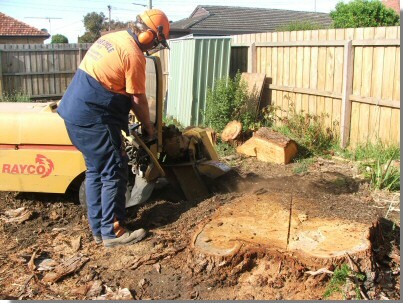 Stump grinding is the process of removing the tree stump from the ground completely. It requires specialised equipment and is the final step in tree removal. The stump is ground (also known as grubbing) to below ground level so that's there no chance it will grow back. We have both 25 and 100 horsepower stump grinders. Our 25 horsepower grinder is great for getting into tighter spots where limited access would normally pose a problem. Once the stump grinding is complete we'll fill in the hole so that you'd never know there was a tree there. Contact us today to take care of your tree stump removal.